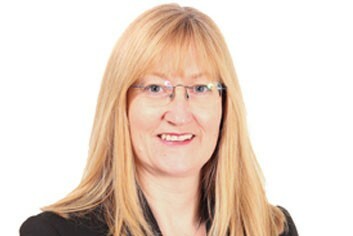 Hazel Cunningham leads our Business Services division, providing a service in HR, IT, finance, project management, legal and facilities management. Our HR team provides strategic insight into people issues and champions our organisational culture. They provide a professional and comprehensive service to support and champion our management and employees in achieving business, personal and organisational objectives. Our finance department is responsible for financial and accounting affairs including the preparation and presentation of appropriate accounts and the provision of financial information for managers. Their activities include financial accounting, financial planning, treasury management, tax planning, foreign currency, payroll and corporate policies and procedures. The team also leads our business planning processes. The technology and facilities department maintains our technology infrastructure and IT systems used throughout our organisation, as well as our London office environment. Our dedicated product management team support the Discover England fund and the England Director. Our company secretariat provides support and advice on all legal and governance matters. Hazel joined us in 2015 as Director of Business Services. She is responsible for technology, finance, facility management, and our HR department. An experienced Finance Director, she has worked in a wide variety of different organisations including, East Sussex County Council, the NSPCC and most recently Director of Finance & Resources at First Community Health & Care CiC. She also acts as a school Governor.